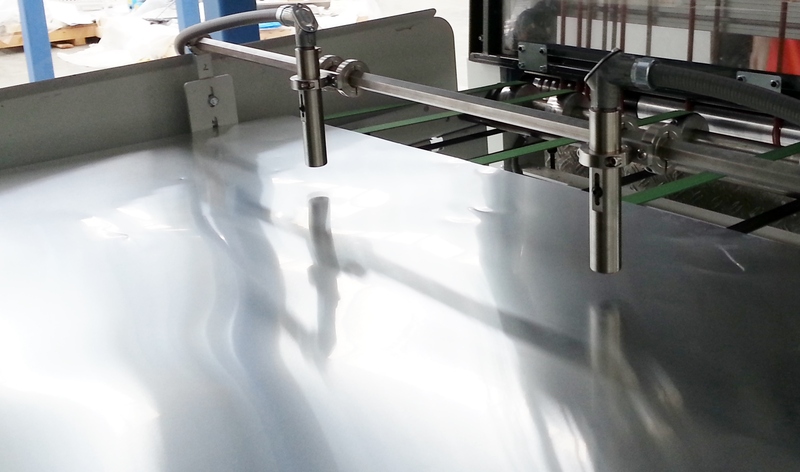 Unprecedented accuracy in coating thickness measurement on coils and flat sheets. SpecMetrix® systems bring the unmatched precision of the most advanced optical technology directly onto the coating line. Powered by our proprietary software, our ruggedized systems are built to withstand the rigors of any manufacturing environment, working in-line to deliver continuous, real-time coating thickness or film weight measurement data for wet or dry coatings immediately following application. 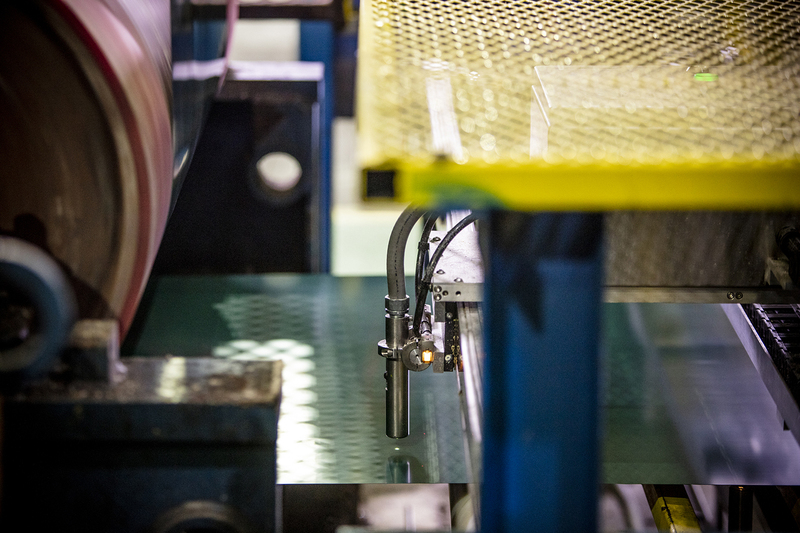 Our in-process systems set a new standard for non-contact and non-hazardous measurements of coated coils or flat sheets. 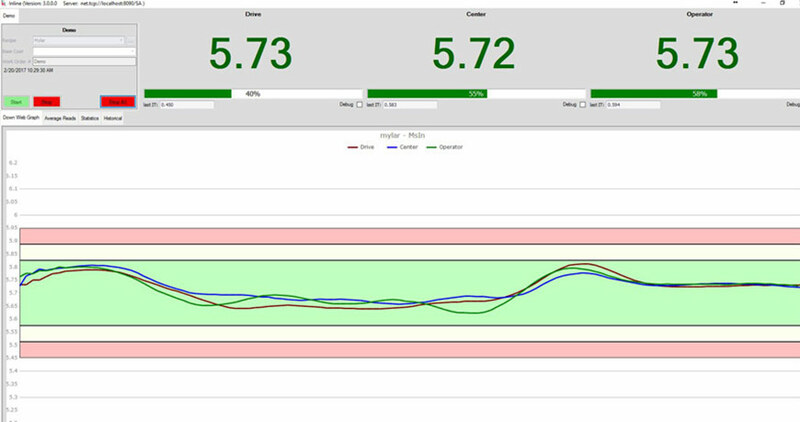 Our award-winning tools produce instant, actionable data without sacrificing part integrity, and incorporate non-contact ROI optical technologies that are easy to use, monitor and maintain. Our cutting-edge optical probes take up to 150 measurements per second per probe, at line speeds up to 1800 feet per minute. 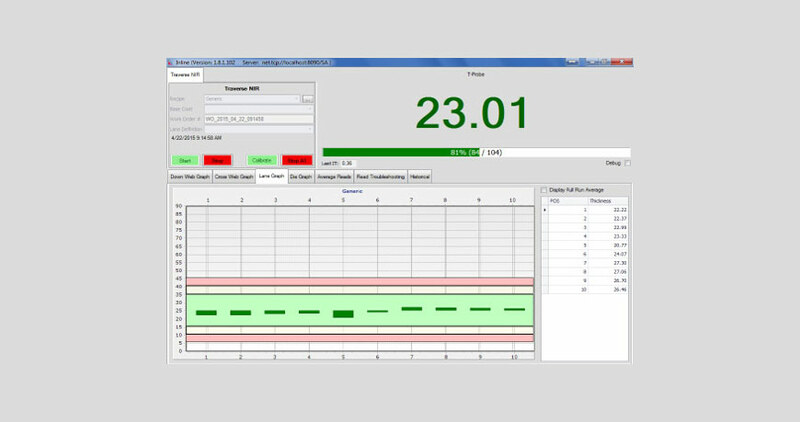 Customers can select single or multiple fixed probe mounting options to collect real-time thickness or film weight data on coated sheets and coils. For in-process coil coating measurement applications, both fixed probe and scanning system configurations are offered to meet QA needs. Our in-line system designs are flexible for simultaneous top and bottom coating applications with multiple fixed probes. 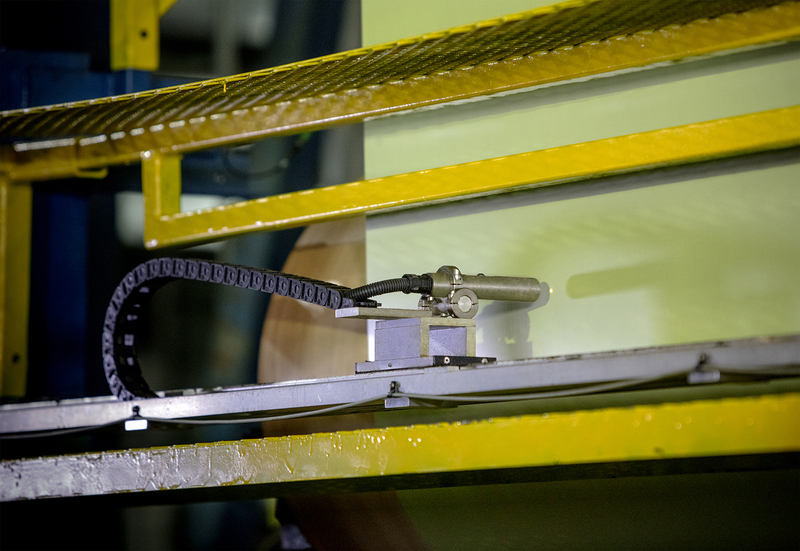 Our traversing measurement configuration options allow in-process, cross-and-down coil QA analysis. Plant teams can select whatever pattern is best suited for their production requirements. The ability to provide full side to side primer, top coat or other coating thickness measurements of coated coils delivers unmatched QA process improvements to meet plant team needs. 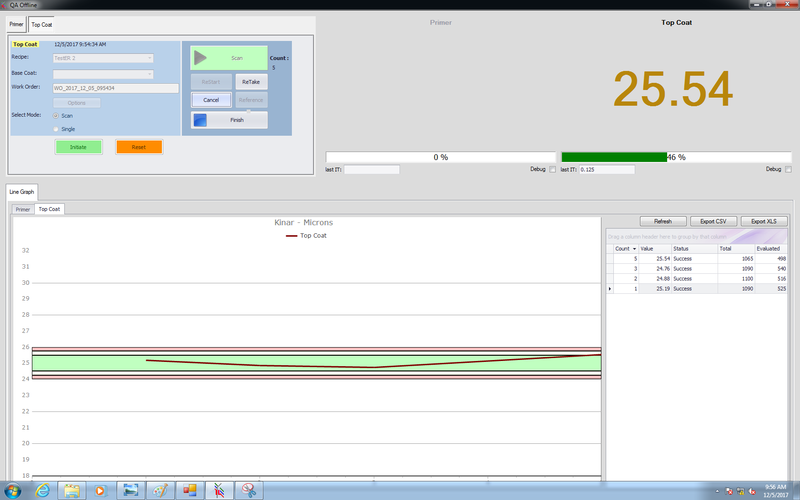 Data is displayed on our user-friendly touch-screen interface. Measurements are calculated in microns with film weight conversion options available. Thickness data can be easily exported to all host data acquisition and corporate SPC systems. SpecMetrix systems provide real-time process control and quality assurance to manufacturing and QA teams. Operators obtain immediate feedback on coating quality while providing plant management with direct quality results without any operator environment—saving time, labor and money. We designed our solutions to help streamline set-up, changeover and inspection times. SpecMetrix systems provides plants with highly precise and much needed coating or film weight data to reduce waste and product costs while increasing quality and profitability. SpecMetrix product lines have become recognized quality tools by global industry leaders within the rigid packaging and coated metal markets who report full ROI in an average of six to nine months. SpecMetrix in-process systems are the most flexible, effective and user-friendly non-contact coating thickness measurement solutions available today.